Medicare is a federal health insurance program administered by the Centers for Medicare and Medicaid Services, a division of the U.S. Department of Health and Human Services, for those who are 65 or older or certain people with disabilities. 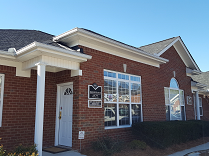 At DP Insurance Brokers, we are able to provide all parts of this coverage to the residents of Atlanta and surrounding areas throughout Georgia. Part B covers certain doctor’s visits, outpatient care, medical supplies, and preventative services. This year from October 15 to December 7 you will be able to change your plan if you are on a Medicare Advantage Plan. There are a few other special enrollment periods throughout the year so please call us to see if you are eligible.